You Are Here: Home > What are the 2018 Jaguar F-PACE Exterior Features? It’s hard not to notice a beautiful specimen when it goes past you, and that’s how Holmdel residents feel about the 2018 Jaguar F-PACE. With stunning lines and contours, coupled with the finest details, the 2018 Jaguar F-PACE exterior is one that will certainly be noticed everywhere it rolls. Explore the new Jaguar F-PACE exterior features below. Most people don’t realize the detail that goes into helping a car seamlessly maneuver through the road, but it’s all about the exterior design. The new Jaguar F-PACE is perfectly contoured and proportioned to give this model a low drag of only .37, which helps to improve speed and fuel economy. Although the new Jaguar F-PACE stands out on its own through Colts Neck, there are certain features and amenities that make it stand out over the competition. In order to truly experience what the 2018 Jaguar F-PACE exterior brings to the road, you need to experience the look and feel of this model for yourself. 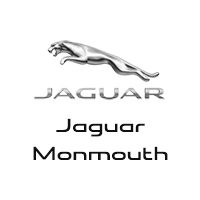 Visit Jaguar Monmouth today, located at 807 NJ-35 in Ocean, NJ to see our inventory, or contact us at (877) 672-8680 to learn more about our vehicle specials.